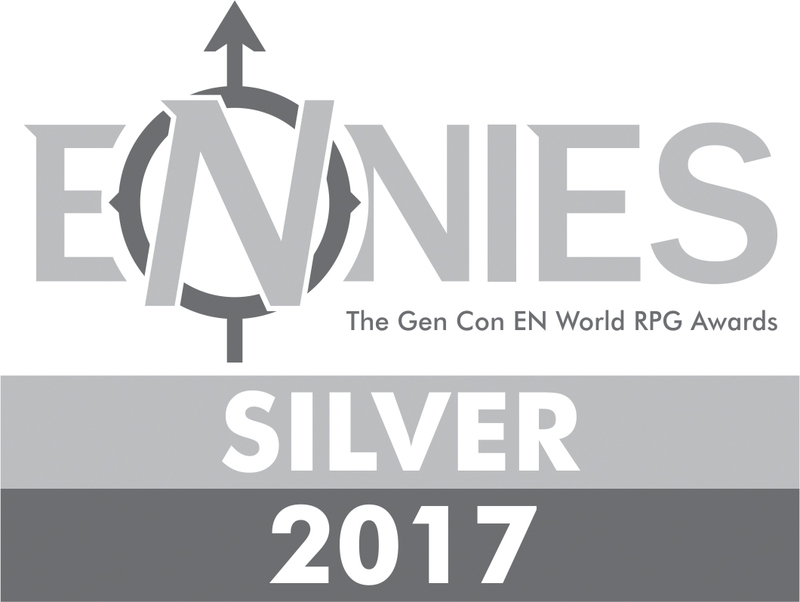 Unknown Armies awarded a Silver ENnie for Best Production Values at Gen Con! 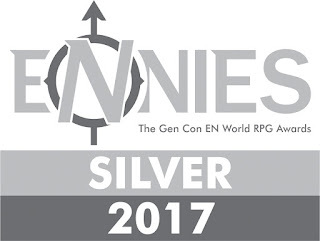 Our UA3 production team is extraordinarily grateful to the fans of Unknown Armies for voting for us in this year's ENnie Awards. We came away with the Silver ENnie for Best Production Values, which we believe recognizes the hard work and effort of our crew: art director Aaron Acevedo, graphic designer Thomas Deeny, editor (and postcard crafter!) Colleen Riley, cover artist Jason Engle, interior photographic artists Benôit Felten, Lassi Seppälä, Thomas Shook, and Jeannine Acevedo, and of course designer and co-postcard-maker Greg Stolze. Congratulations to the Chaosium for their Gold ENnie and to all of our colleagues and friends in the publishing business for their well-deserved recognitions and nominations!